If you are a fan of cooperative games (and you should be, you are visiting Co-Optimus), then chances are you have heard about Guardian Heroes HD. 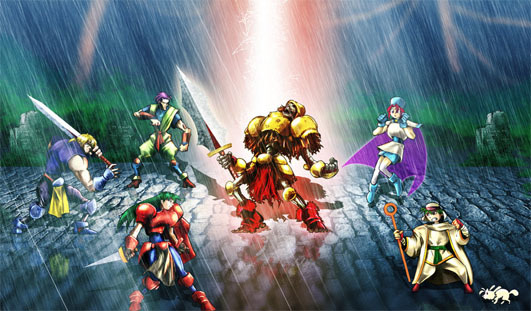 Originally released for the Sega Saturn, Guardian Heroes HD was the remixed version of the Treasure classic. The game is a unique and timeless beat em' up that has stood as a solid game to this day. It is a golden standard by which to measure other games in the genre. This has as much to do with the amazing graphics, music, and animations as it has to do with the underlying game mechanics. This is a thinking man's brawler, particularly on hard mode. It features experience and stat point distribution which can come into play in a large way. Best of all, it sports some very fine cooperative play both online and locally. Guardian Heroes HD was worth the price of admission when it was first released for the XBLA. Now, the game is seeing a permanent price drop to 400 MSP, or simply $4.99. For the amount of raw content available in the game at that price, picking it up is a no-brainer. Treat yourself to a treasure today and grab Guardian Heroes HD.